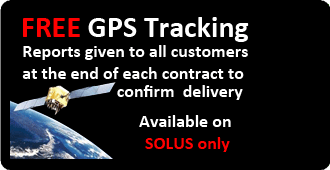 Vehicles that are data tracked to confirm locations of delivery with GPS. Fully trained and Uniformed Fulltime Staff (Paye) creating confidence for the clients. 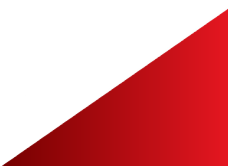 Supervisors / Teamleaders constantly monitoring all distributors whilst always in constant radio communication with each other and JM Circular offices, giving daily updates and progress reports of clients distribution. From Solus, Shared, New Shared and Solus+1, we have a leaflet door drop service to suit all needs and all budgets. On a weekly basis we deliver in excess of 500,000+ items to letterboxes within the Coventry, Leicester, Birmingham and all over the Warwickshire area's. We can also organise the distribution of leaflets, magazines, coupons, pamphlets, and samples for any company throughout the UK. We only employ fulltime, uniformed, reliable adult staff to deliver your advertising leaflets. 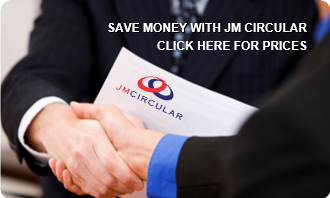 Why Use JM Circular For Your Next Leaflet Campaign? We are offer a professional solution to Leaflet Distribution by using Geoplan (tactician), which is a business focussed software for post code targeting and geographical planning - used by the world's largest companies from all business sectors. Leaflet Distribution is a cost effective way to reach your existing customers and to penetrate into new markets. Unaddressed mail is not junk mail; it is a powerful marketing tool. Many leading companies use leaflet distribution every week to advertise their products & services. JM Circular can offer you local knowledge to ensure your campaign is delivered to the right people at the right time. Our expert staff can offer advice on your entire campaign from design, format and print, to timing, target areas and distribution. We can cater to the specific needs of each client and tailor a marketing solution that complements your existing strategies. Whether you require a local campaign within a particular city or region, JM Circular has the infrastructure and capacity to grow your brand and your sales. Each job is personally signed-off as having been delivered and local area supervisors maintain control at all times. Material is delivered on specific days every week.